Here's a shot I liked because it really captures how close to the runway Mike is flying. Normally I would crop in a bit tighter on the plane, but I really wanted to show the shadow on the runway. 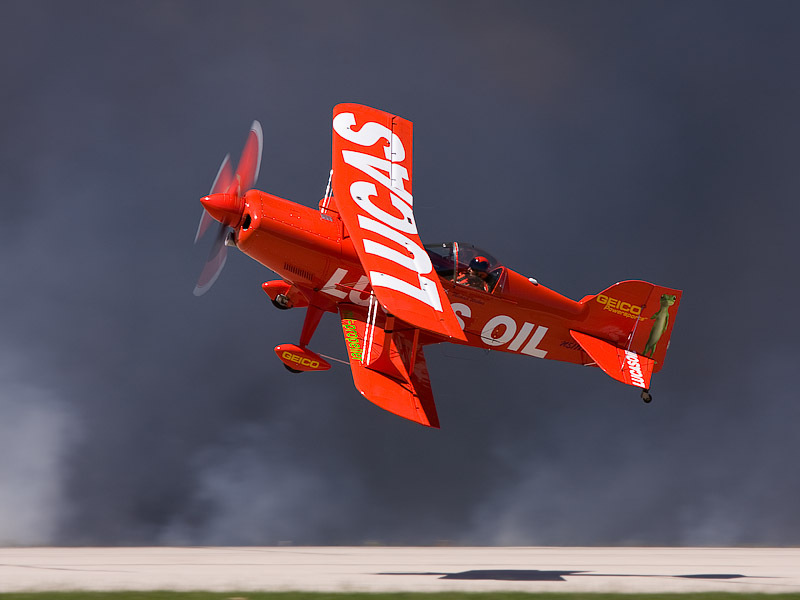 The lighting and background are almost perfect and make Mike's plane almost jump out of the frame. Thunder on the Lakeshore Week! Copyright 2011 - Geoff Sobering, All Rights Reserved. Powered by Blogger.